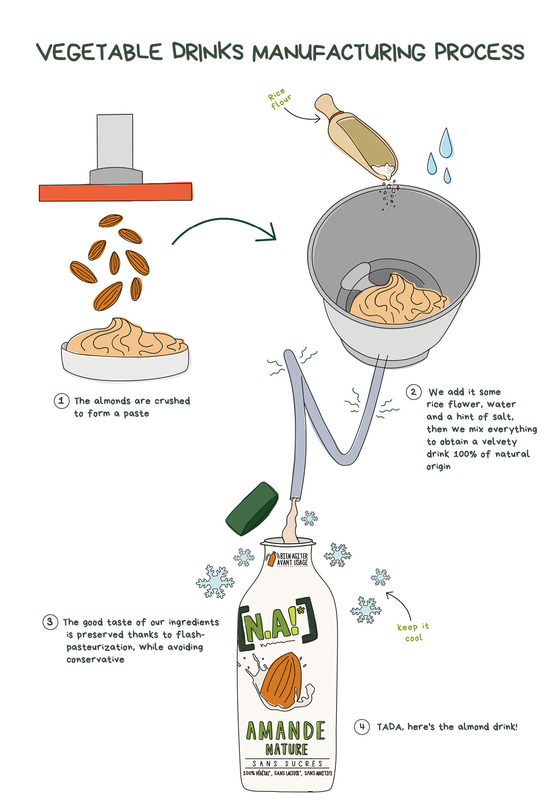 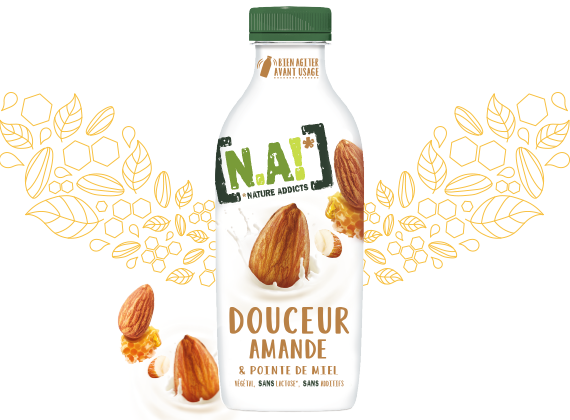 Reinvent your everyday life starting from the morning with [N.A!]. 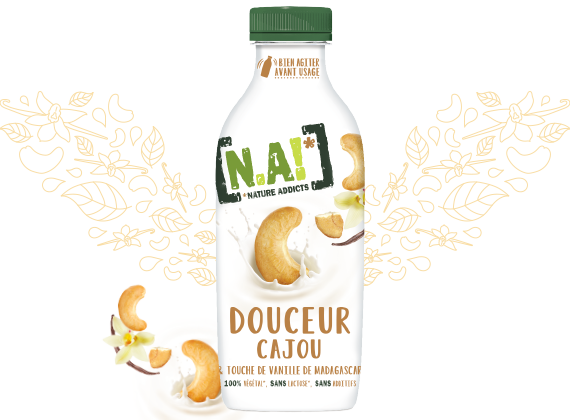 Because we are convinced that naturality can rhyme with greed, we concocted a unique range of plant-based milks, to be found in the fresh drink department! 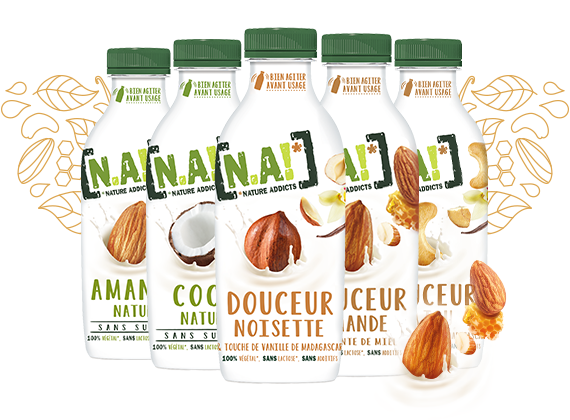 Find a pure greed in our Natural range with our coconut drink and almond drink without sugars. 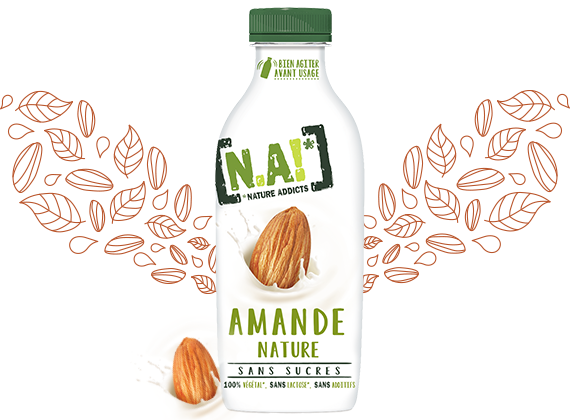 Find delicious recipes in our Sweetness range with our almond drink with a point of honey, cashew drink and its touch of vanilla of Madagascar and Hazelnut drink and its touch of vanilla of Madagascar. 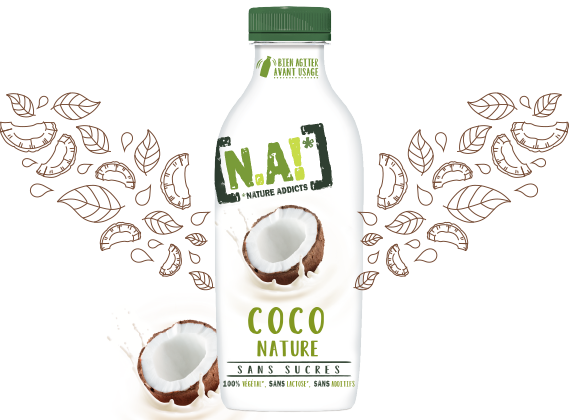 Our bottles are 100% recyclable, so think about it ! 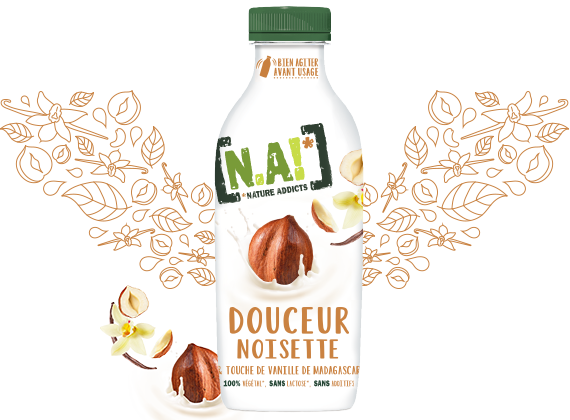 Our range of fresh products freshly is not available on the online shop.